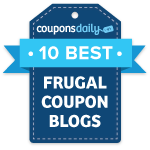 Did you receive the high value $2/1 Snuggle coupon found in the 12/6 Red Plum insert? If so, you can get FREE Snuggle Fabric Softener Sheets at Walmart! They are supposedly priced at just $1.86. Use your $2 coupon and you will get the fabric softener sheets FREE plus $0.14 in overage! If you didn’t receive the $2/1 coupon in your Red Plum insert, then you may want to order some off eBay. 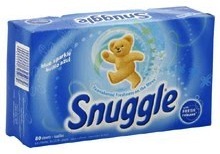 You can get a lot of 10 of $2/1 Snuggle coupons for just $2.49 shipped. That’s not too bad, especially since you’ll most likely be able to get 10 FREE Snuggle products with these.